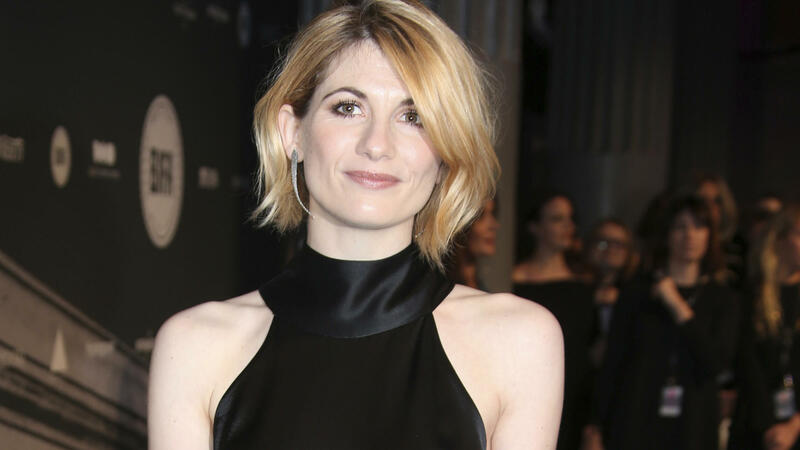 Actress Jodie Whittaker will be the first woman to play the role of the eccentric Time Lord. She's seen here last December. Actress Jodie Whittaker will portray the Doctor in the next season of the beloved BBC series Doctor Who, becoming the first woman to play the role. The BBC announced the move after Sunday's Wimbledon men's final. "It's more than an honor to play the Doctor," Whittaker said in a news release. "It means remembering everyone I used to be, while stepping forward to embrace everything the Doctor stands for: hope. I can't wait." Whittaker, 35, will succeed Peter Capaldi, 59, who's leaving the show and the role he took over in 2013. For the past several years, Whittaker has portrayed Beth Latimer on the series Broadchurch. She's also appeared in the series Black Mirror, and in films such as 2011's Attack the Block. She'll make her first appearance as the Time Lord when the show transitions to a new season this Christmas. On Doctor Who, Whittaker will be reunited with the show's new head writer and executive producer Chris Chibnall, the Broadchurch creator who has also written episodes of Doctor Who. "I always knew I wanted the Thirteenth Doctor to be a woman and we're thrilled to have secured our number one choice," Chibnall said. "Her audition for The Doctor simply blew us all away. Jodie is an in-demand, funny, inspiring, super-smart force of nature and will bring loads of wit, strength and warmth to the role. The Thirteenth Doctor is on her way."